Although a favorite exhibiting tool in many museum setups, diorama was never the favorite means of expression in fine art. It’s clear how the avantgarde artistic thinking rejected this plainly narrative model of representation. It’s too overt, often borderline kitschy and somehow dated. Still, there are visionaries that have never abandoned the idea of a diorama as an artistic matter, since these miniature, three-dimensional depictions of either historical or fictional scenes do offer the possibility to expand the narrative beyond the obvious. One of these visionary creatives is certainly Abigail Goldman, a former investigative reporter, acclaimed for her materializations of unforgettable murder scenes through the body of work cleverly entitled “Die-o-rama”. Hashimoto Contemporary treats the public with the latest creations of this thrilling artist,showing how a miniature diorama world does belong to art. Crime is definitely the main inspiration behind Abigail Goldman’s creations. She has been fascinated by it, by the criminal act and its outcome ever since her working as a crime reporter at the Las Vegas Sun. Consequently, she advanced to being an Investigator for the Federal Public Defender of Nevada, dedicating a lot of her time to the analysis of old crimes. These intriguing, forgotten stories have not only influenced her artistic work, but have in fact awoken it in a way. 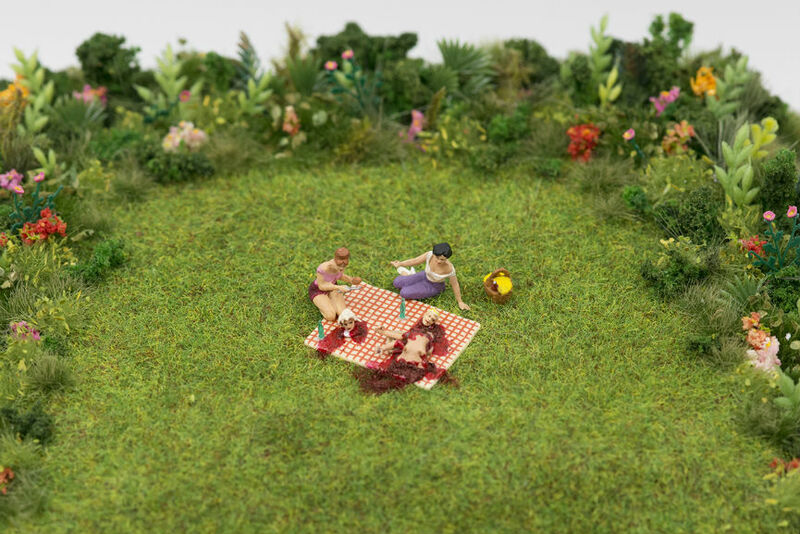 Overburdened by the knowledge of violence and violent possibilities, so often [deliberately] hidden from an ordinary man, Goldman began depicting what she saw or envisioned, reducing the brutality to a miniature and humorous scale. 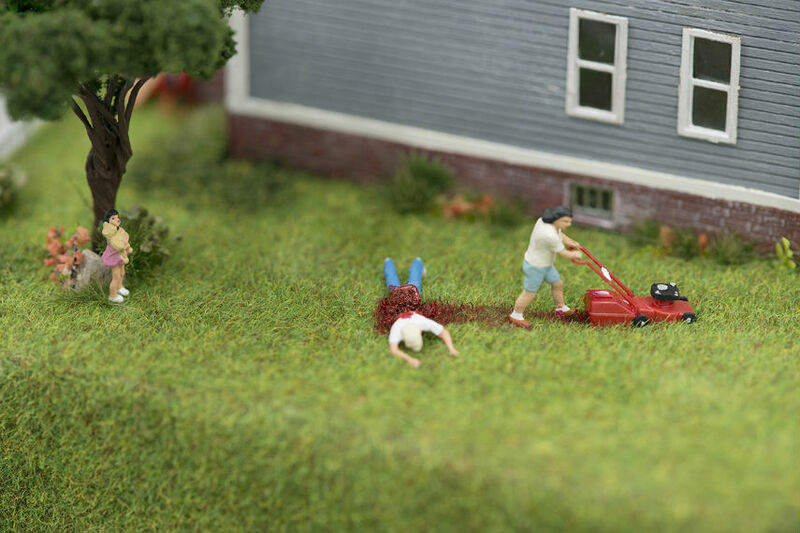 Having found a certain relief in these artworks, the miniature diorama creator still sees the ordinary man as the main protagonist of such gruesome narratives. We all live in a frenzy, while “there’s an anger buzzing just under the surface“, claims the artist. 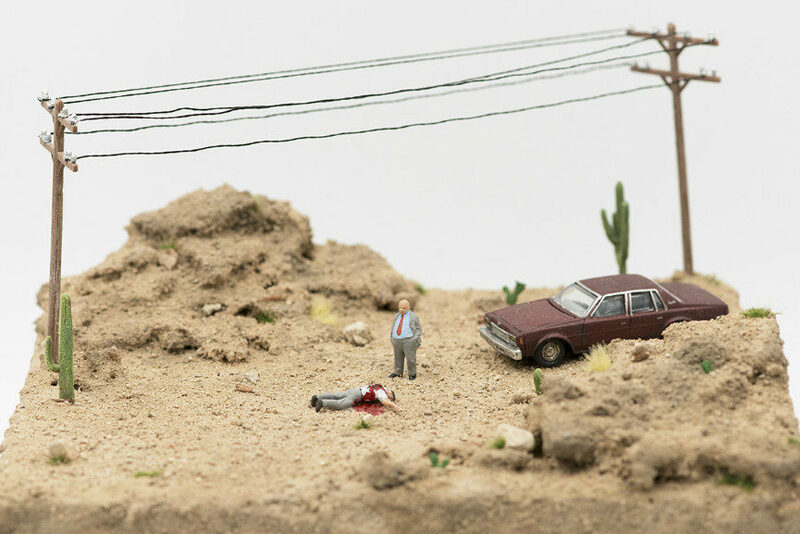 The latest miniature diorama series by Abigail Goldman is entitled curiously – “Mea Culpa“. These down-scaled worlds are all mini mirror images of our reality, with tiny people under 1 inch high and their perfect suburban surroundings. Still, there is an unspoken terror lurking from the white picket fences, manicured lawns and the boring everyday, the one which becomes overt in the savagery going on in the small green backyards. Reduced to a 3D picture in a book, we find these scenes entertaining rather than worrying, which emphasizes another communication level of Goldman’s artwork. We are not only to be reminded that the murderers are among us, but we should also see our detachment from these miniature diorama moments as a reflection of the actual disengagement we have in our relationship with reality. Should a Diorama Remind Us to Pay Attention? 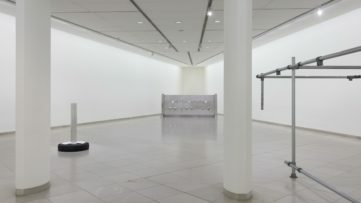 Hashimoto exhibition “Mea Culpa” will be showcasing free-standing works and wall-mounted sculptures. Each one of them depicts a rather interesting subject, often seasoned with dismembered limbs of the imagined tiny guests, friends or family members. Blood runs in streams (river is such a “big” word) in this Lilliputian universe, and its characters bathe in it gladly. 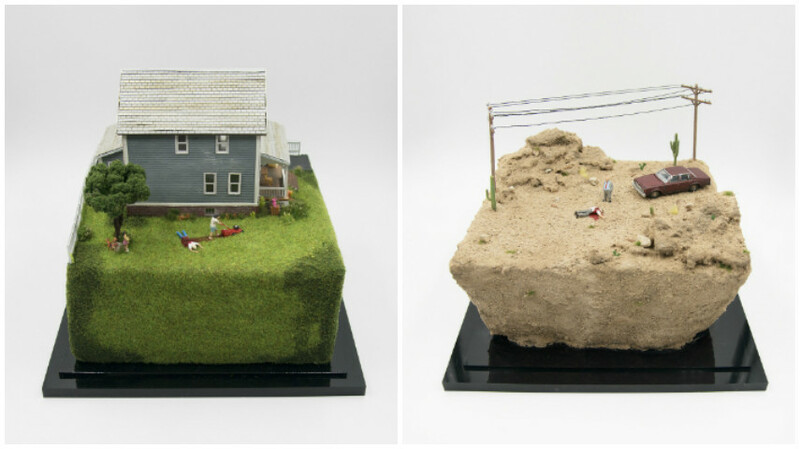 Cute at a first glance, the Abigail Goldman’s miniature dioramas create an uncomfortable tension the moment the observer realizes what they represent. The eerie calm of the criminal act committed just moments ago overwhelms and leaves us wondering – who is the murderer and who will be next? Without any paranoia usually attached to such stories, a person cannot but wonder – are we shielded or are have we chosen not to look the reality of crime in the face? 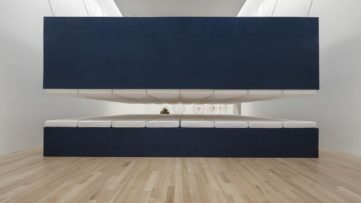 This question remains lingering in the gory air in between these vivid installations. “Mea Culpa” diorama exhibition featuring works of Abigail Goldman will be on view at Hashimoto Contemporary San Francisco from August 4, to August 27, 2016.